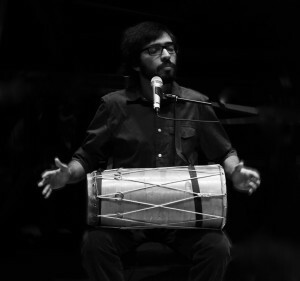 Hesam Abedini is an Iranian-American performer, composer and improviser residing in Irvine, CA. His work crosses the boundaries between idioms as wide as contemporary music, classical Iranian music and free improvisation. Hesam’s music have been performed by various musicians and ensembles such as, selected members of the Atlas Ensemble, Del Sol Quartet, and Mark Dresser’s Bass Ensemble. He is the founding member of the Sibarg, a world music ensemble that combines traditional Iranian and Jazz music in order to create a sense of unity and peace and facilitate interculturalism. Since 2011, under the supervision of Dr. Hossein Omoumi, Hesam has studied classical Iranian music and directed the NEA-sponsored Documentary film “From Isfahan to Iran”. He is a graduate of the Tehran Music Conservatory and holds his B.A. in Music Composition with honors from the University of California, San Diego. He studied music composition with Dr. Lei Liang, Chinary Ung, Anthony Davis and improvisation with Mark Dresser. Currently, Hesam is pursuing his Ph.D. in Integrated Composition, Improvisation and Technology at the University of California, Irvine as a Provost PhD Fellow.